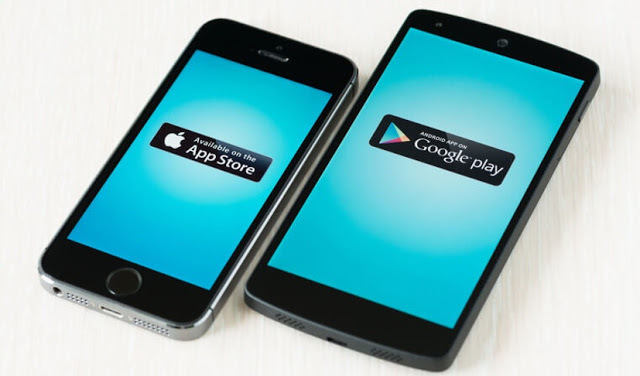 Having an app for your business is great, and if you have both – an iOS and an Android app then the results can be awesome! While Android captures maximum market share, iOS is known for its elite and loyal class of users. Hence, if you have a business app on both these platforms then this can provide you with innumerable benefits. However, this does not mean that you have to create two different apps for each platform. All you need to do is read this post till the end as reading this can help you save lots of time. Wondering How? This post will tell you the best and simplest way to convert your Android app to iOS, and vice versa. But before we move ahead, first know about the top 7 reasons why you should focus on Android Development than iOS. I will be listing the reasons to convert your iOS app to Android app, considering you already have an iOS app for your business. ● Reach Out to Wider Audience – Might be you are using large clientele base by just having a mobile app on one platform. Hence, let your business reach out to a wider audience through mobile apps on both the platforms. ● Enrich Users Experience – One thing I need to clarify is mobile app conversion is not duplication. Hence, when you convert your iOS app to Android then you will be able to offer your customers with more rich experience with unique features and added functionality. ● Target Niche Market Share – Though iOS app users are more loyal, Android app users exceed in number. If your business wants to capture more market share then introducing an Android app is a must. ● Increased Return on Investments – Diversifying usability to different platforms would offer your business with increased returns and revenues. ● Reduced Cost of App Development – To build an app from scratch involves lots of time and cost. You can save all this by developing your iOS app to Android app, or vice versa. ● Increase Business Presence – While the iOS app can help you increase your business presence only with the limited elite class, Android app allows you to increase your business presence across demographics. ● Increased Brand Awareness – With an app on two different platforms, you can increase your brand awareness to a great extent. Moreover, it can help your business gain lucrative returns from both the platforms. While the Android app can provide more lasting gains to your business, I will stick to introducing your business app on both the platforms. And if you already have an app on one platform then all you need to do is convert it into another one. So, know how is this possible? 1. Navigation – One major difference between the behavior of users on Android and iOS devices is the Home button. While iPhone has a single button, Android has at least 3 buttons meant for home, multitasking, and back. To make your iOS apps look same to the Android version, you may include in-app tabs at the bottom. 2. Design – Android performs on material design, while Apple performs on Flat design. You need to focus on important design elements like object placement, navigation bar text alignment, button styles, font family, controls, action sheets, icons, and alerts. 3. Screen Resolution and Device Support – Do check the versions of operating system. Apple has lesser users and hence fewer sizes and resolutions of the screen. Also, Apple limits the access to components. Hence, when you port apps then do check for the functional compatibility. 4. Frameworks – Do study for compatibility of your iOS app and Android app for different frameworks and libraries. 5. Testing – In order to be successful, you need to perform serious quality assurance. Do perform the following tests related to integration, validation, user acceptance, and beta testing. 6. Submission to App Store – Once your app is ready to go live you must check that it stays in line with guidelines of your preferred App Store. 1. Differences in Architecture – There are numerous differences and peculiarities between the two platforms. Check for the touch and shortcuts, push notification specifications, specifications and orders of content switching, and how the app would interact with other apps on a device. 2. UX or Design Considerations – Make sure you don’t copy the design when porting the app from one platform to the other. Rather consider the important design aspects like icons, content navigation, fonts, buttons, dialogs, animations, behavior, text fields, bottom sheets, and other aspects. 3. Framework and Coding – Do check for the compatibility of libraries and tools used by developers to build a mobile app. If there is incompatibility discovered, then you must find a suitable alternative. 4. Testing Functionality – Just like other app building procedures, quality assurance is important. Using emulation tools or real Android devices you need to test the app before it is live. 5. Business Model – Last but not the least, checks for improvement options, business logic and other frameworks involved. Also, do create Android specific navigations and design elements. While I have discussed all prominent steps and features to consider while converting your Android app to iOS and vice versa, I need to make it clear that such conversions is not a one-click action. Hence, it is suggested to hire professional developers who are skilled in developing apps on cross-platform frameworks. Sunny Chawla is a Marketing Manager at AIS Technolabs, which is Mobile App Development Company, helping global businesses to grow in the online market. He would love to share thoughts on Application Development and Digital marketing.